The ability to create something unique giving together different elements with harmony is a well known process to the art lovers in its several expressions. To guarantee the quality of the final result, essential is to mix ingredients in the right way and to select their own quality level. Xavian shares this point of view so far that also for its "entry level" model from the XN series is not going to make excessive compromises jointing together the full Italian taste of its founder, Roberto Barletta, with particularly careful construction and choice of components of unquestionable and deserved renown, selected from catalogues Peerless, Seas and Scan-Speak. The company Xavian was found in Prague, Czech Republic in 1995. 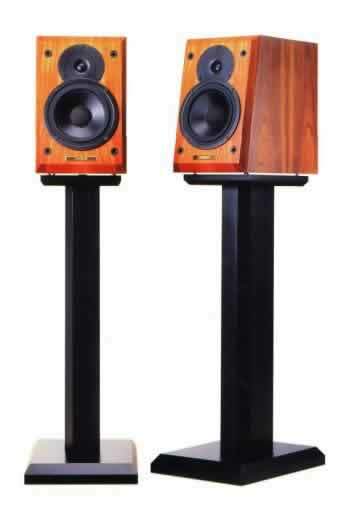 In few years it penetrated in the Czech market producing high quality loudspeaker systems. At the moment Xavian produces two product lines: the "Classic" ( more affordable ) and the prestigious "XN". The production includes bookshelf and floorstanding systems and an active bass unit. The model we are going to examinate is the XN 125, a two way bass-reflex loaded bookshelf system of very compact size. Aesthetically the XN 125 is without doubts elegant and a little transgressive, too. The size is really compact, the front panel is inclinated and the finiture is handmade by real wood veneers (cherry, walnut and maple). A very strong aesthetical characterization is given by the front panel shaping. In fact, we find clear-cut facets. I found the aesthetic result fairly interesting, thanks also to the placement of drivers and compact size. The whole vaguely remembers the image of a gem. An uncommon and curious particularity: the name of the company is impressed into the depth of the front panel, without the aim of any other added label or logo. Used drivers are the very well-known and longeval Scan-Speak tweeter D2008. A 19 mm treated soft dome, without ferrofluid. The mid-bass driver is a 13 cm polypropilene membrane Peerless. Speakers are placed one upon another to minimize the center's distance. The realization of the cabinet shows the care of the manufacturer to contain the costs, preserving performances. Thus no solid wood but 22 mm thick veneered medium density fiberboards. More than sufficient to guarantee very high structural rigidness considering the dimensions 180 x 275 x 285 mm. The inclination of front panel allows to optimize the acoustic phase response and to minimize internal standing waves. Besides, the shaped facets of front panel contain the diffraction phenomena. On the rear panel we find the bass-reflex port and two pairs of gold plated binding posts, allowing bi-wiring and bi-amping. The passive filter-speakers group show cross-over frequency of 2600 Hz. The low frequency section is a 12 dB/oct and the high-pass section is a 18 dB/oct. Particular care has been reserved for the correct driver phase response. Capacitors are polypropilene types with low tollerance and marked Xavian. Inductors are air-wound on high-pass section and iron core-wound for bass section. All the internal walls are damped by polyurethane. The hole for mid-bass unit is internally conically shaped to avoid microresonances and to do not show mechanical resistance for the membrane. Xavian declares a frequency response of 60 - 20000 Hz ( +/- 3 dB ). 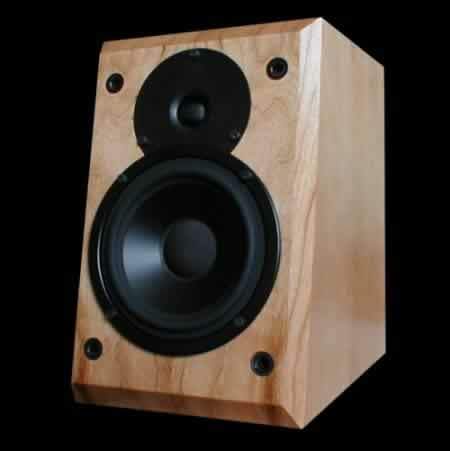 The efficiency is typically moderate for speakers of this type, 85 dB ( 2,83 V/1m ). The nominal impedance is 8 ohms with a very benign modulus. The XN 125 is a quite simple load for every amplifier. Considering the size of the speaker, the extension positively surprises. It is really very good and able to sensitively reproduce tones around 40 Hz in my listening room, even if limited due to physical dimensions of the cabinet. Astonishing is the fact that bass reproduction is articulated and controlled and that this ability is present in the mid-bass region, too. These readability properties allow a better integration in listening rooms. Without problems is the high register where the small dome of the Scan-Speak tweeter easily reproduces the highest tones, too. Since the beginning the timbric performance was tendencially neutral even if in my quite wide room and with my electronics, the sound resulted at the end too much clear. With some simple optimizing steps I could get an enviable timbric balance: I used signal cables HiDiamond Signal+, further I placed small absorbing elements I received together with the Aliante Punto 5 speakers. Then I continued with my listening sessions appreciating this way a transparent bass, a very well controlled mid-bass, pleasant medium frequencies and a round and fluid mid-high and high frequency register. Many speakers of this price category strategically have a mid-high register more "formal" to avoid to show shortcomings in this part of spectrum which calls for quality drivers. The tonal balance is very good, at least when you do not want to listen in very big spaces or too much loud. In these two situations, the small XN 125 become a little hard altering the tonal balance. Anyway I think that who is searching for high sound levels in big spaces will look for another kind and size of speakers. Optimally used, the XN 125s present liquid and refined tones, particularly delicate and even sometimes caressing. The small Xavians particularly win in introspection, selectivity, contrast and transparence. The analysis of these parameters let you suppose they belong to much higher price categories. If source, amplification and cables are really transparent, then the XN 125 do not hide anything. Obviously harmonically they cannot be compared with the best (and much more expensive) realizations. Everything is reproduced so carefully and with sense of completeness I really consider praiseworthy. Dynamic performance is related to the particularly compact size of the system. I cannot say it is physically involving. It belongs to a certain standard for this category. I appreciated the designer's effort to reach a balance between parameters as micro-dynamic, macro-dynamic and response velocity. Even if the XN 125 are dynamically limited, as well as every minimonitor, the reproduction is full of appreciable sense of realism. And now the soundstage. Considering the size, we should expect good level performances. The Xavian XN 125 do not do anything against this praiseworthy tradition. In fact the soundstage is deep and wide with appreciable focus and plasticity. Often in this price category you have to give up a certain deep colour which, in contrast with the lightness of musicians, produces a sensation of clearness of the elements, allowing the perfect discernment and localization. Listening to the XN 125 you do not feel particular renounce in this sense. The image is fine-grained as a clear and detailed photo with a very good sense of air between the instruments. There is not much sense in complaining a product offering so valid performances, considering the price. If I have to point my finger on the least successful aspect, then I would say that the cabinet is aesthetically valid but has too much hard edges. As it usually happens, the burn-in shown its positive effect. To my taste and in my listening room, even if the front panel is inclinated, I found preferable to further incline the cabinets working on stand spikes. I also orientated speakers towards me in a such way that the lines passing trough the axis meet 1 meter in front of me. This way I achieved the best results in terms of focus and stability of the acoustic image. In my case, the installation of absorbing elements near to the tweeters allowed to achieve a superior naturalness. After the burn-in I suggest to make a test. Extremely valid and interesting, this product coming from the Czech Republic offers quality components jointed together to a careful design and construction for a musical result you really have to enjoy. The price seems to be definitively contained, considering the listening performances. The Xavian XN 125s have also been designed to be a simple load for the most of amplifiers to do not limit the choice to few excellent (usually expensive ) ones. Honestly considering their possibilities, personally I would avoid to choice electronics of low musical value. At least I would choice a good "audiophile" integrated amplifier, able of working in a refined and powerful way with a detailed and clean signal from the source. At the moment I am writing these notes, Xavian's products are not distribuited in Italy. Anyway it is possible to buy them directly from the production house. Thanks to the favourable value-performance ratio, I believe this situation will not stay long and I wish Italian audiophiles will be able to listen to them in specialized studios. Thank you to Roberto Barletta, CEO and founder of Xavian Electronics, for sending us these "piccole, preziose, musicali" ("little, precious, musical") XN 125.